Kenny Greenberg is one of the five artists featured in “Lights, Sound, Movement,” at the Gold Coast Arts Museum, Great Neck, Long Island, Nov. 23-Jan.15. “Lights, Sound, Movement,” a new exhibition on view Nov. 23-Jan. 15 at the Gold Coast Arts Center in Great Neck, looks at the wide range of contemporary art utilizing light, sound and movement, from works that are concerned entirely with motion and unpredictability, from sculptures that engage with political topics, to work that brings ancient myth into contemporary life. This exhibit showcases five artists who redefine art’s traditional parameters by engaging with a wealth of new materials, processes and technology to incorporate light, movement and sound in their work. Meet the artists and enjoy refreshments at an Opening Reception on Sunday, November 23, 4-7 pm. The exhibit and reception are free and open to the public. Karen Kettering Dimit employs neon as a secondary material used to draw you into the larger subject contained within. The neon becomes the magnetic component attracting your eye to look deeper. Kenny Greenberg is a neon artist utilizing this material in its traditional form. 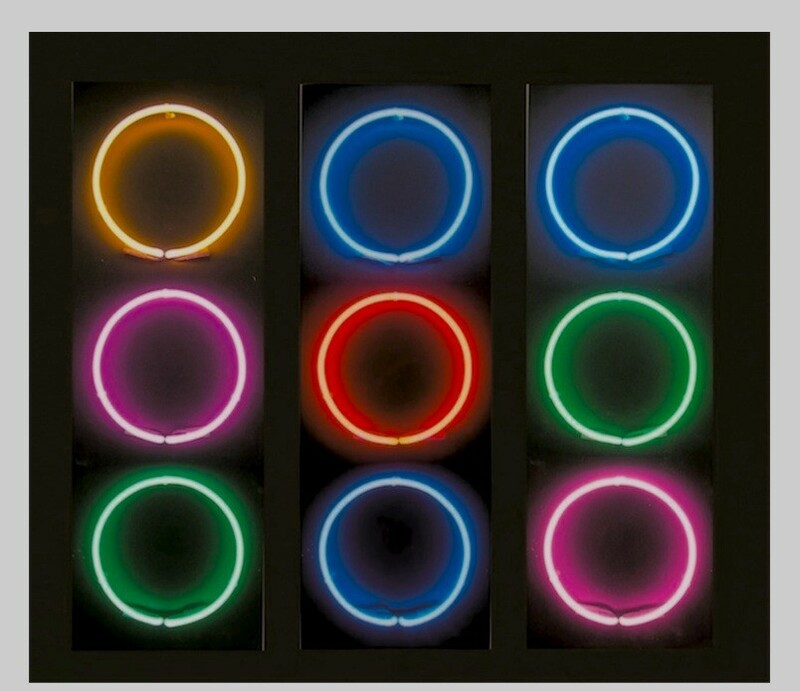 In drawing a connection to the op-art movement of the 1960’s, Kenny uses the random flashing of his colored neon circles to create an optical rhythm. Annalisa Iadicicco transposes the every day use of lit signage by emphasizing subjects of a politically charged nature. Jack Rohe Howard-Potter creates sculpture that delves into the implication of physical movement. While the pieces by themselves don’t actually move, Jack captures the moment along the path of movement from beginning to end. Mara Sfara tells a story using light, sound and movement in her sculpture. In linking all three elements the sculpture acts as a stage set in a theatrical performance. Gold Coast Arts Center, 113 Middle Neck Road, Great Neck (entrance through the Maple Avenue parking lot). For more information, call 516-829-2570 or email gallery@goldcoastarts.org.